Thank you to our panelist and guests for joining our event. 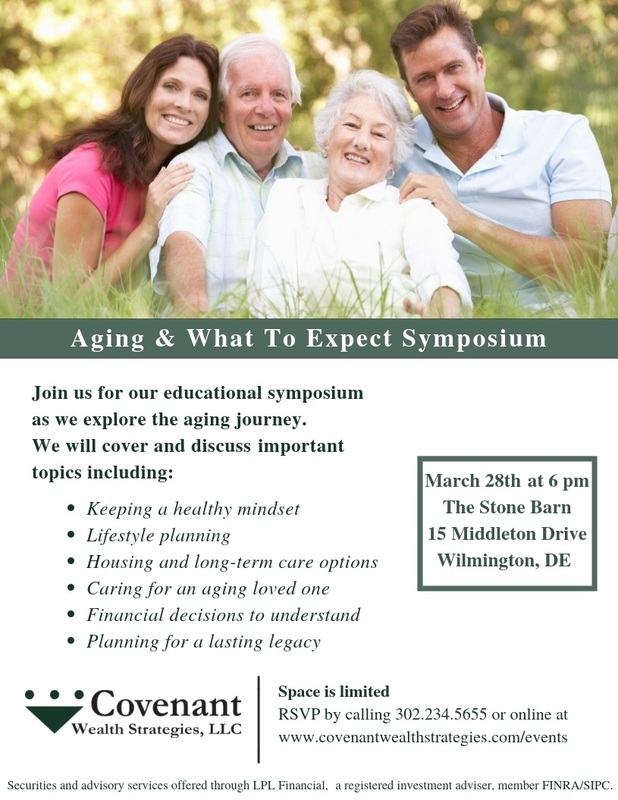 Our featured panelist introduced important topics related to the aging process including: lifestyle planning, housing and long-term care options, caring for an aging loved-one, financial decisions to understand, planning for a lasting legacy and keeping a healthy mindset. 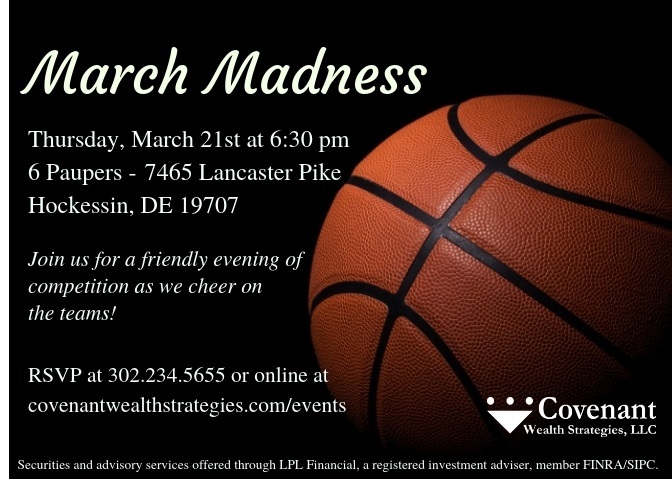 It was a wonderful evening full of basketball, competition and great food! 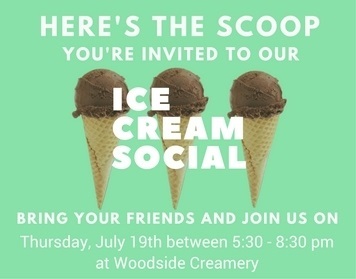 Stay tuned for our other social events coming up! 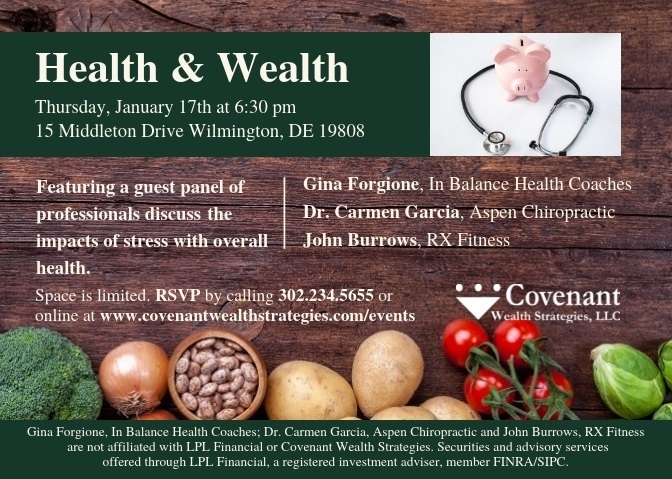 Our featured panel of speakers educated our guests on nutrition, fitness and overall wellness to help them kick-start their new year's resolutions. 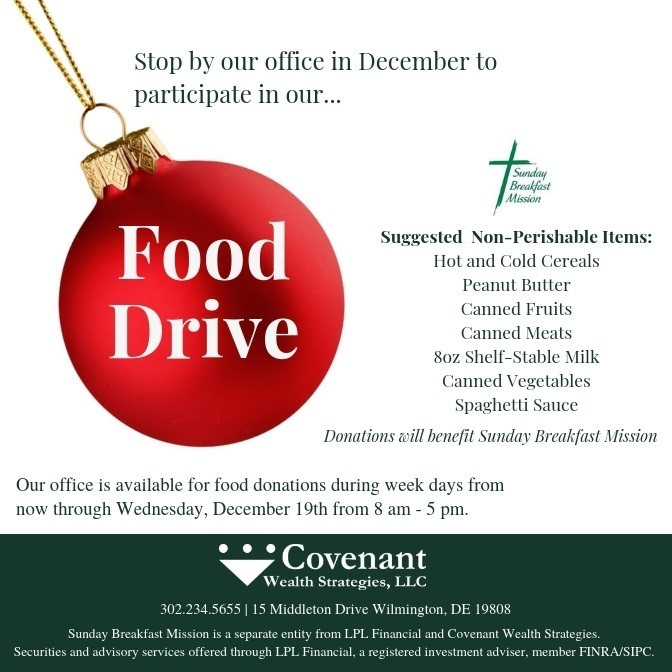 Thank you to our friends for stopping by our office to participate in our food drive! We were able to feed many families in need and brighten their Christmas! Friends joined us on our 19th anniversary for a festive evening to celebrate the season. 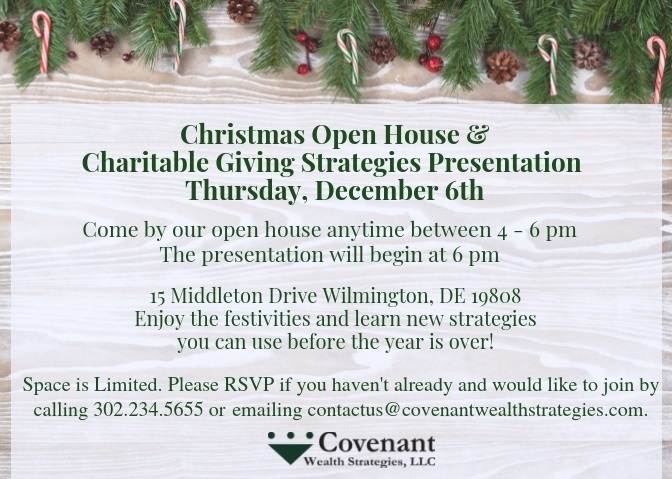 In light of the season and new tax law, Ward shared our Year-End Charitable Giving Strategies. 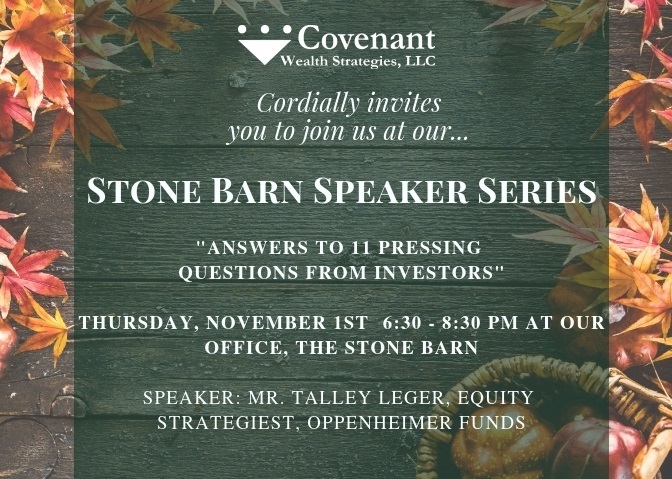 Our team was delighted to welcome Mr. Talley Léger, Equity Strategist with Oppenheimer Funds to our November Stone Barn Speaker Series. He educated our audience and presented on "Answers to 11 Pressing Questions From Investors." Our entire team volunteered a day to roll up their sleeves with Good Neighbors to repair a home in need, power wash and paint. 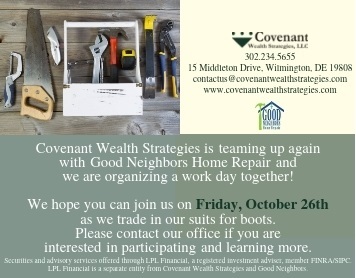 Good Neighbors Home Repair supports elderly and low-income homeowners who have exhausted all options to restore hope and repair homes. It was a fun and beautiful summer evening with friends and family! There were plenty of ice cream flavors to choose from. Even the pups joined the fun this year! 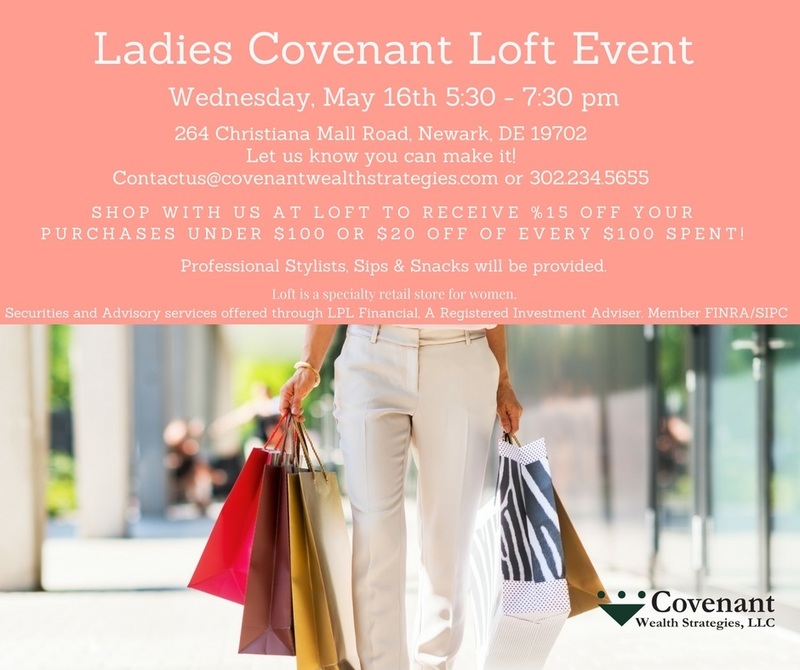 We had a great time together shopping and enjoying discounts at our Ladies Loft Shopping Event. 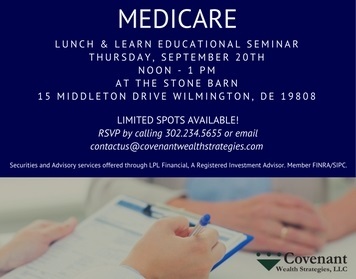 If you missed this one, you will want to stay tuned to our upcoming events page for more fun events like this! It was time for spring clean-up! 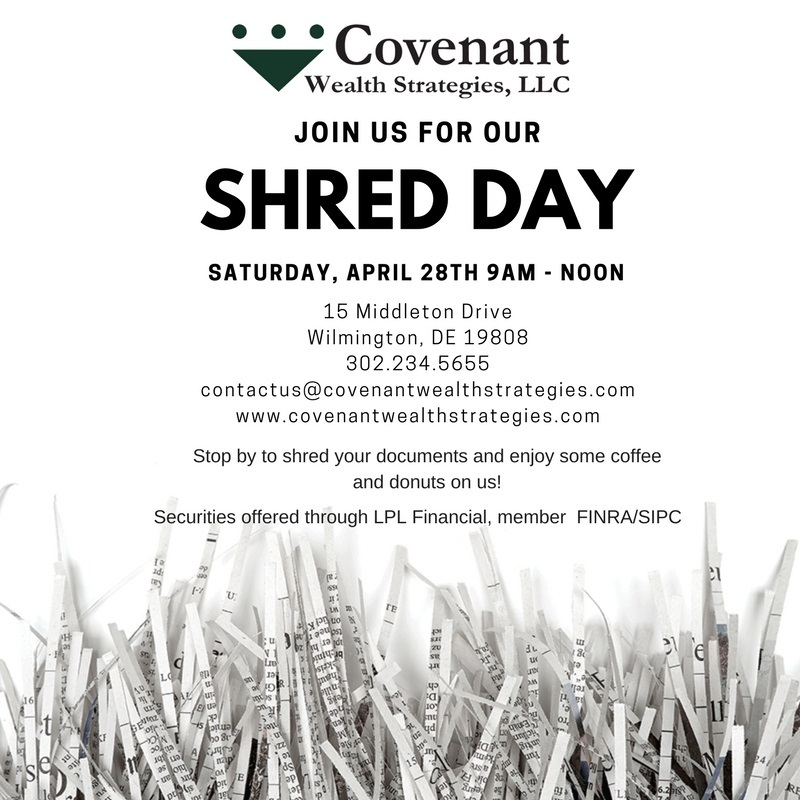 Our clients and the community had the opportunity to swing by to have their documents securely shredded. It is events like these that we enjoy serving the community.